High intensity focused ultrasound (HIFU) based thrombolysis has emerged as a promising drug-free treatment approach for ischemic stroke. The large amount of acoustic power required by this approach, however, poses a critical challenge to the future clinical translation. This research introduces multi-frequency acoustic waves at MHz range as HIFU excitations to reduce the required power for treatment as well as the treatment time. The research further investigates the use of dual-frequency focused ultrasound (DFFU) mediated by microbubbles (MBs) to minimize the acoustic power required for thrombolysis in vitro. It was found that MBs, with sufficient concentration, could significantly lower the power threshold for thrombolysis for both DFFU and single-frequency focused ultrasound (SFFU). To provide insides on the mechanism of why inertial cavitation can be enhanced by multi-frequency, a numerical investigation on the inertial cavitation threshold of microbubbles (MBs) under multi-frequency ultrasound irradiation is conducted. Dingjie Suo was born in 1989, China. He graduated from Nanjing Foreign Language School in 2008 and then received his B.S. degree in Mechanical Engineering from Beijing Institute of Technology in 2012. He received his M.S. degree in Mechanical Engineering from University of Southern California in 2013. 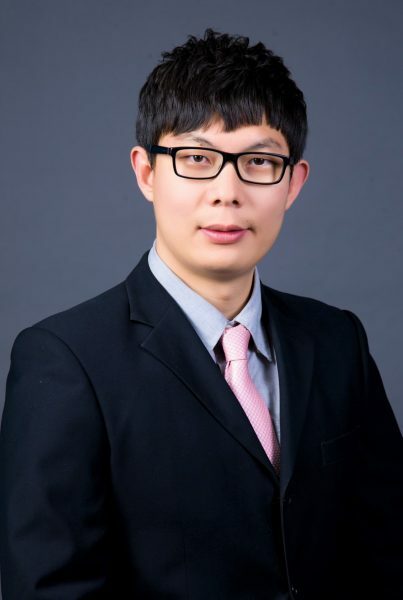 After that, he joined Dr. Yun Jing’s Acoustics and Ultrasonics lab at North Carolina State University in 2014. His current research majored in High Intensity Focused Ultrasound (HIFU) based thrombolysis using multiple frequency excitations.